This Luminar Review is a guest post by photographer and writer Max Therry of Photogeeky. 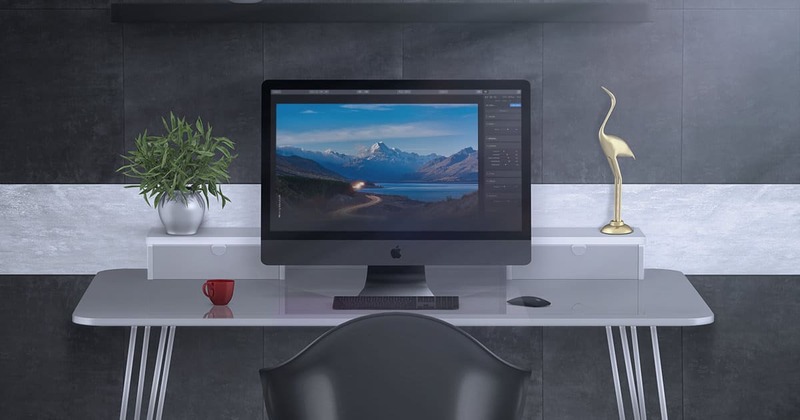 Luminar is a universal all-in-one photo editing app that can be used either as a stand alone program or as a plugin in with Lightroom, Photoshop, or Apple Photos. The fully overhauled Luminar 2018 version offers not only features like lens corrections and artificial intelligence, but it’s also branched out to become available to Windows users as well. Luminar won a number of awards during its brief existence, the latest of which being the Best Software Plugin for 2017. 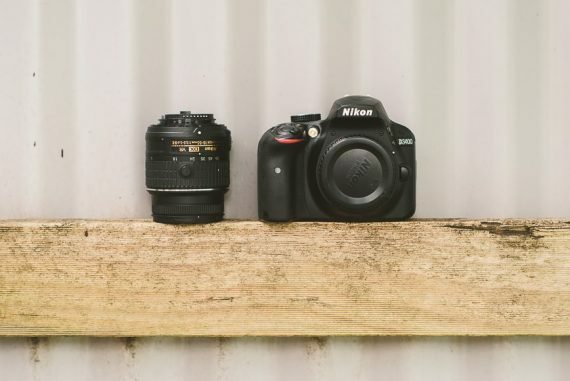 But as a stand alone photo editing program with the aim “to offer everything a modern photographer needs for photo editing,” where does it stand? Well, that answer can vary. When I first started using Luminar in 2016, it was a bit of an adjustment. I had a long-established workflow with Lightroom and Photoshop (and, I confess, Nik filters) and kept trying to replicate it in Luminar. Needless to say, that didn’t work out so well, so I went to using it as a plugin and eventually begin to really enjoy it as I became more used to it and as they continued to add on more features. Now though, with the advent of Luminar 2018, I’m finding that I’m turning to Luminar more and more often as my primary editor for images that don’t need specialized work. So after several months of using it, here’s my review of Luminar. 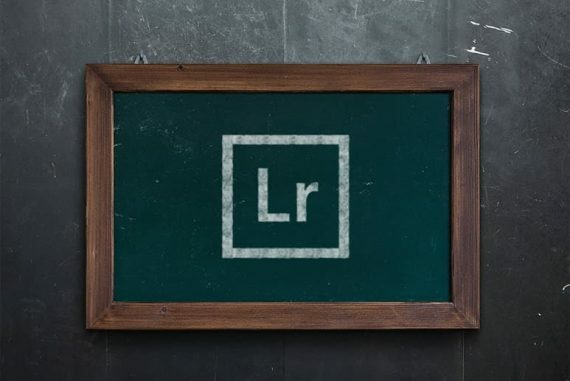 Luminar blends features of Lightroom and Photoshop into a single platform. 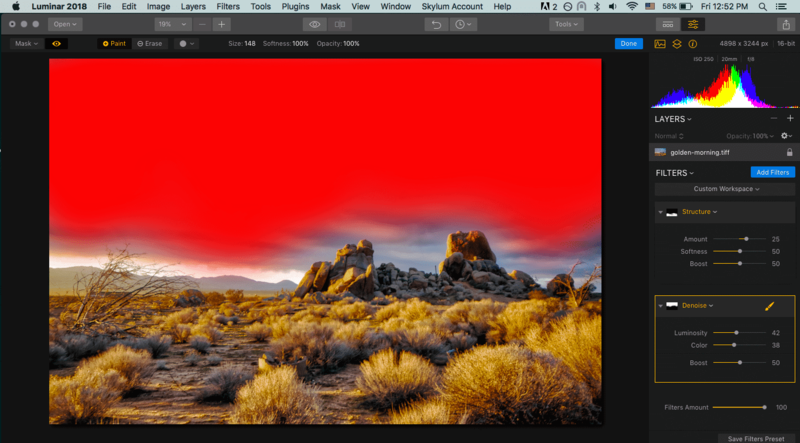 Like Photoshop, it has layers, layer masking (including luminosity masks), blend modes, numerous filters, and advanced options such as LUT mapping. It works with all forms of image files, and in Luminar 2018, there’s an advanced Raw Develop module that includes lens adjustments and extensive transform options. Luminar 2018 comes with a Raw Develop filter that includes a panel for manually correcting lens distortion. For established Mac Users, the interface will look quite familiar and intuitive, and just about anyone will find it easy to get started if you don’t already have a different workflow. Simply open an image, choose your work-space and/or filters, and then start adjusting with sliders. Creating a mask is as simple as painting with your cursor. Here, the Structure filter has been added to the foreground, but masked out of the background. 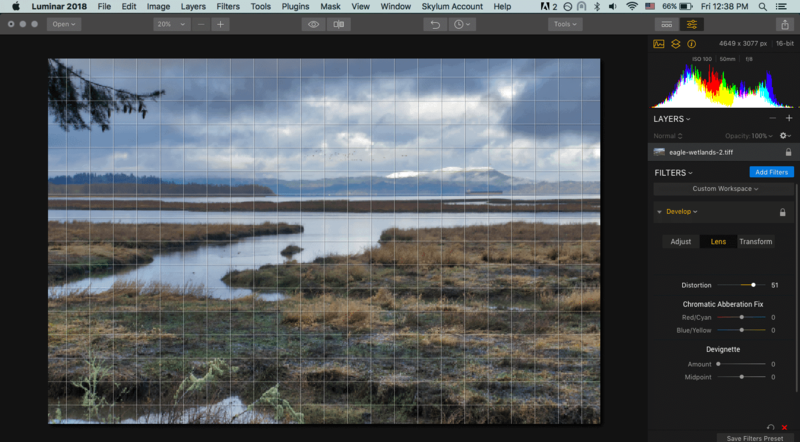 Everything is infinitely customizable, and once you find a workflow or filter set that works for you, you can save it as a preset to use with other images. 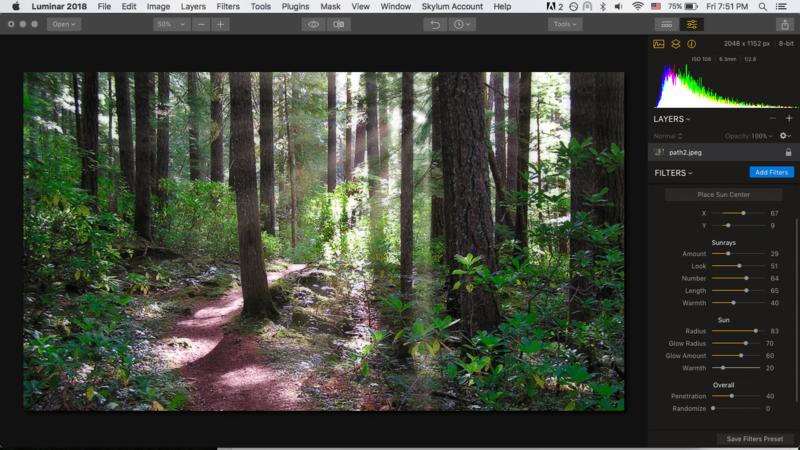 You can even set up a custom workspace to mimic Lightroom’s, if you so choose. Like Lightroom, Luminar comes with many presets. You can also make your own and download new ones. Luminar has all of the necessary tools of a full-featured photo editing program (Crop, Eraser, Clone and Stamp, Free Transform, etc. ), but where Luminar stands apart from other programs is in some of its more exemplary (and often intelligent) filters. The types and use of the various filters run the gamut. Some, like the AI editor, are designed for super-quick, pain-free editing. Others, like Sunrays and the Orton effect, are meant for more creative uses. Here’s a brief run-down of some of Luminars more unique filters. If you’re looking to get your photos edited in a single stroke, Luminar’s artificial intelligence (AI) editor might be a godsend. It does a passable job of fixing tone, brightening foregrounds, adding clarity, and other basic adjustments, all with the use of single slider. It works better on some types of shots than others (i.e. landscapes, not portraits), and often doesn’t improve my photos at all, but when it does, it’s great. The AI editor instantaneously analyzes the data of your photo and then makes the changes it sees fit. This usually includes adjusting the tone and recovering both the highlights and the shadows. The Sunrays filter is a Luminar exclusive and one many people believe makes Luminar worth purchasing all on its own. This unique feature lets you add the sun and its rays into your photo, all the while customizing every aspect of it. What makes it particularly unique, though, is that the filter senses the dark and light parts of your photo and adjusts accordingly, placing the sun behind objects and allowing the rays to shine out around them. When used well, you can get a pretty realistic look. If you’re a landscape photographer, you’re well acquainted with images that have an over- or underexposed sky or foreground. The Top and Bottom Lighting filter allows you to adjust the exposure for each separately—priceless if you’re with single exposures. It’s quicker and easier than the many other ways of getting the same effect. Made popular by The Lord of the Rings films, the Orton effect blurs some areas of an image while keeping others in focus. It took me a long, long time to see its appeal, but I’m now a fan of it and use at least some element of it fairly frequently in my landscape work. The Orton effect blurs some areas of the image while keeping others in focus, giving a mild otherworldly effect. There are a million and one ways to dodge and burn in Photoshop, but none of them are as quick and easy as Luminar’s Dodge and Burn tool. 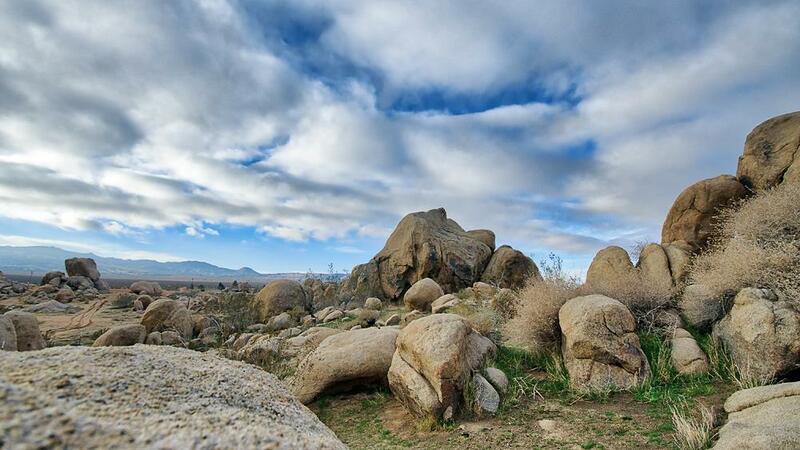 All you have to do is paint over the area you want to dodge or burn, then adjust the amount. That’s it. If you’re a fan of this old school technique and like a quick workflow, you’ll be hard-pressed to find a better way to go about it. While color grading with Look Up Tables (LUTs) isn’t a well-known technique, for those who like to use it, it’s hard to do without. I’ve only been playing around with them since Luminar 2018 came out, and I have to say, I love the effects of some of the free LUTs being offered by them. From what I’ve heard, you can even convert custom Lightroom presets into LUTs and load them into Luminar. Removing color casts may be as simple as adjusting the white balance and tone, but it’s not always so easy (at least if you’re not a pro). This filter does a surprisingly good job of neutralizing whatever color cast you’re having a hard time getting rid of. Of course, you can be more precise with advanced color correction (when white balance and curves don’t do the trick), but challenging photos that I just don’t feel like putting the work into? I have to confess, I’ve often found myself jumping to Luminar just for this effect. It’s quick, it’s fast, and remarkably effective (much of the time). Using the Denoise filter on the sky. 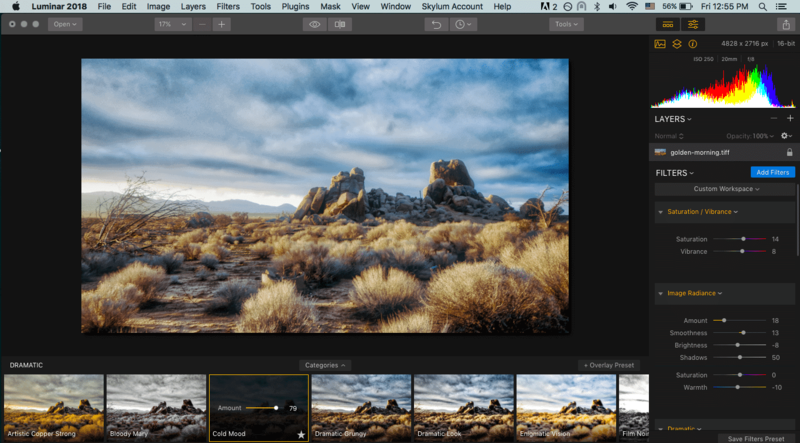 There are a few things the standard Lightroom user will miss in Luminar (other than the catalogue, which according to Skylum, is coming to Luminar soon). The first one that most of use is the auto lens correction. Luminar 2018 provides a manual correction option which is a huge improvement over having none, but many of us are used to simply clicking the “auto” button in Lightroom and instantly having our corrections done for us (according our lens profiles). Manual corrections will get the job done, but unless you’re really good, lens corrections by eye aren’t always so accurate. Another place where I find Luminar lacking is always having to paint selections manually when masking. For me, painting by hand only happens when Photoshop’s Quick Selection tool or Magic Wand can’t do the trick. And even with my Wacom tablet, painting by hand can be long and tedious, especially when I know there’s a faster way. I also miss being able to refine the mask edge. So, for detailed or tricky mask selections, Photoshop still wins out by a landslide. I also find that working with layers in Luminar can often be unwieldy. There’s no ability to group layers or to combine them, and these options I almost always end up needing at some point or another. So if you tend to work with a number of layers and/or like to merge them in the midst of your workflow, you’ll need to stick with Photoshop. Beyond this, their “adaptive workspaces that match styles of shooting” hasn’t really made a big splash with me. Perhaps if I weren’t so accustomed to Abobe products it would be different, but as it is, I find that simply being able to collapse the modules I don’t want in my view (Lightroom) or choose filters or add adjustment windows when I need them (Photoshop), keeps my space as uncluttered as I need it. So that wasn’t a big draw for me. In terms of Luminar vs Lightroom, the 2018 version of Luminar does outdo Lightroom in many regards. You can ee a complete summary of Lightroom vs Luminar here., but here are the differences that stood out to me the most. The right-hand column is infinitely adjustable to your workflow, for one thing. If you use different adjustments for your portrait shots than your landscapes, for example, you can create a custom workspace for each. In addition, Luminar 2018 offers many more adjustment options than Lightroom, from the professional filters (channel mixer, LUTs, curves, split color warmth) all the way down to the intelligent filters that analyze and correct the image for you (smart tone, Accent AI, etc.). Another feature where I prefer Luminar 2018 to Lightroom is how the presets work—I find them much easier to adjust in Luminar. When you select a preset, all of the settings instantly are loaded into the adjustment column on the right. You don’t have to guess as to what was done to the image—it’s all sitting right there in front of your eyes. And while this is true to an extent in Lightroom, it’s made crystal clear in Luminar. It’s also helpful (for me anyway) to place a filter on a separate layer so I have even more control over how it affects my final image. One of Luminar’s strong points is the copious amount of presets it comes with. You can adjust each one individually, or fine tune their respective elements in the right-hand panel. 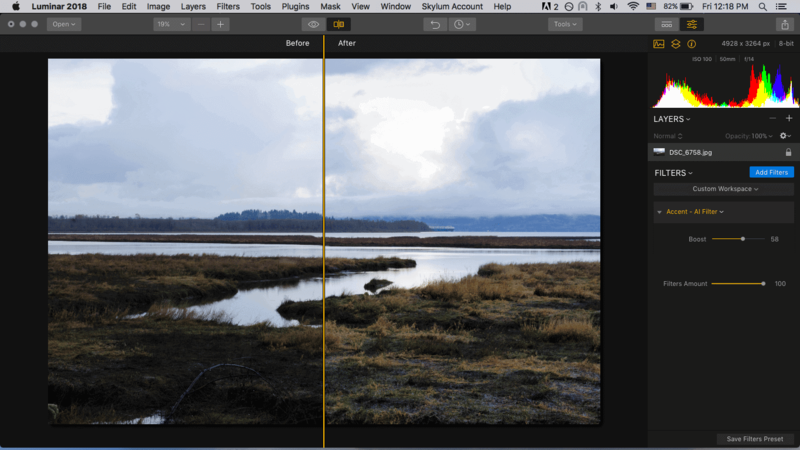 As far as tools are concerned, Luminar’s Erase tool compares well to Lightroom’s healing brush, but their Clone and Stamp tools go a step beyond, especially because you can use different layers. Conversely, being able to synchronize images in Lightroom is a huge step above Luminar’s single-image editing right now. If that’s a feature that you use in Lightroom (and many of us do), there’s just no equivalent in Luminar. Finally, you can’t talk about Luminar vs Lightroom without mentioning the price difference – Luminar 2018 is a much more affordable option than Lightroom – check the latest price here. The one-time fee for Luminar 2018 is a steal for all that it offers. Lightroom on the other hand is now a 100% subscription based model, meaning you’ll be paying Adobe about 10 bucks every month… forever. For those looking for an affordable alternative to Lightroom, Luminar 2018 might just be the answer. Overall, Luminar 2018 lives up to much of its promise as a stand alone editor, especially for beginners, hobbyists, and more advanced photographers not already used to a Lightroom-Photoshop workflow. It combines some of the best aspects of both programs, has just about everything needed for both quick and/or detailed edits, and has a degree of intuitive usability that’s hard to beat. On top of all this, there’s also a lot of support for Luminar out there, with free presets, free LUTs, plenty of tutorials, and frequent updates, including the digital asset management platform that is coming soon. 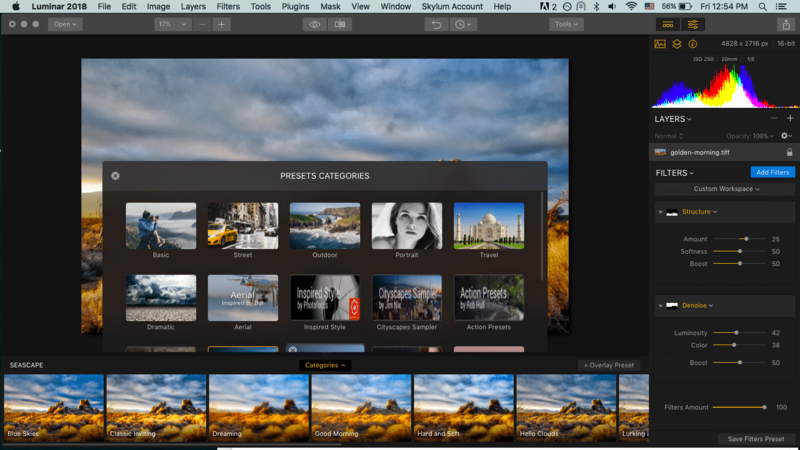 Also, if you’re looking to escape the Abobe Creative Suite subscription model, there’s no reason not give Luminar’s free trial a run and see if its features will meet your workflow needs. 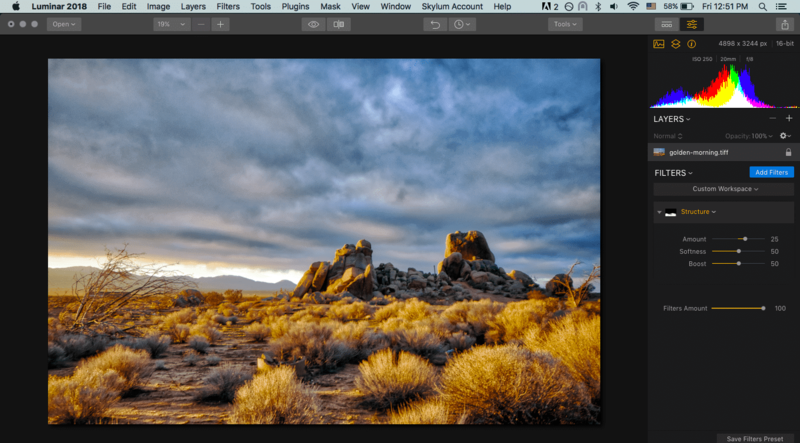 For those with an already established workflow in Lightroom/Photoshop, you probably won’t be tempted to switch over. Still, as a plugin it’s more than worth the price. There are a number of ways it can speed up your snap-and-post workflow, and some of its creative filters just can’t be beat. So to recap, I think beginners and hobbyists will find Luminar to be absolutely fantastic, while pros will enjoy some of the unique filters it has to offer and maybe some of the quick editing options. But advanced retouching? You’ll probably want to leave that to Photoshop. Skylum software has been kind enough to give Shotkit fans a $10 discount coupon code for Luminar 2018. 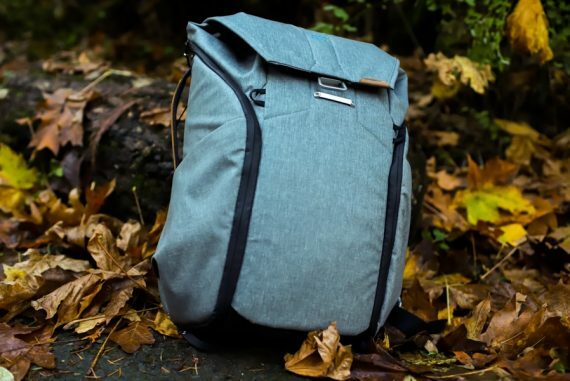 Simply use any of the links in this review and enter the code SHOTKIT at checkout for the saving. 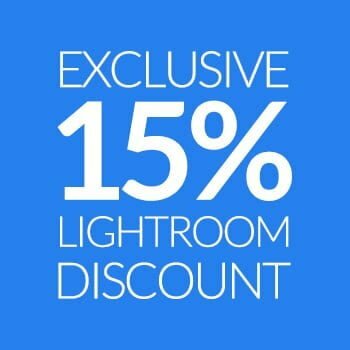 This Luminar discount can also be used on the latest edition of Luminar 3. Disclaimer: the views expressed in this Luminar review are 100% impartial and unsponsored. 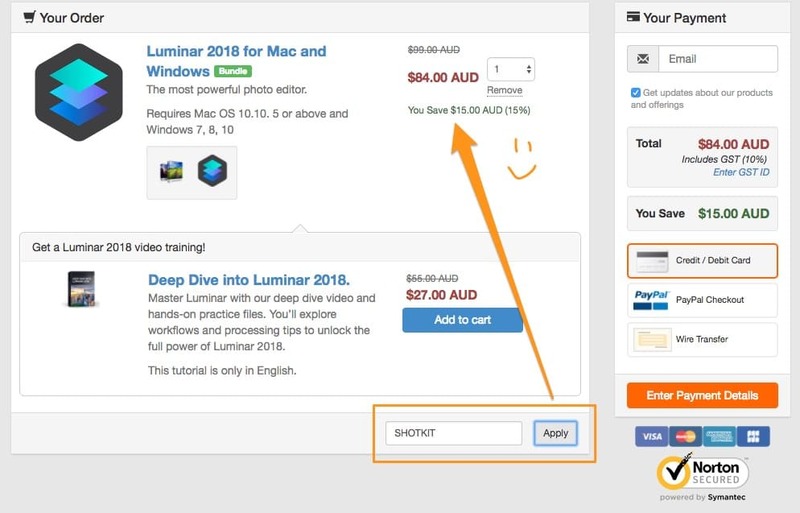 If you make a purchase using the links in the post, Shotkit makes a small commission to help support the running of the site. I just bought the Mac version. I’m a beginner and had a Adobe subscription. Cause of the price difference I switched. First thoughts are mixed. It’s slower than LR. Raw takes forever. Ok my Mac is an 2010 version i7 with 4GB RAM. It will probably take some time to get used to LM. I hope the speed will be adressed in the december upgrade. And looking foreward to file system. But have you tried the windows version? I bought it for less than $40 (win version) and it lacks significant parity with the mac version. I just requested a refund for that as well as many other issues with it. Go to the Luminar windows forum if you want to find out how win users feel about the latest version. Sorry you didn’t like the Windows version of Luminar. True, some features are still exclusive to the Mac version but we’re working on bringing the two versions to parity by the end of this year. As for the issues you’ve encountered, our support team would be glad to help you solve them if you’re willing to spend some time on troubleshooting.